Effect: A KID volunteer is selected from the audience. 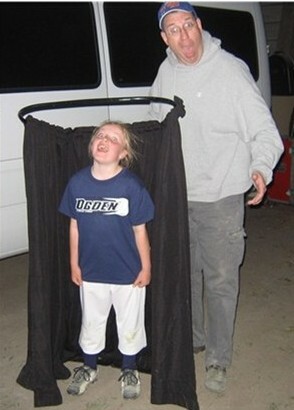 The KID stand behind a hand held curtain. The curtains are drawn closed. When they are reopened, the KID has disappeared! Reappears instantaneously! This illusion has been created so that at no time does the participant experience any fear. No assistant education is required. 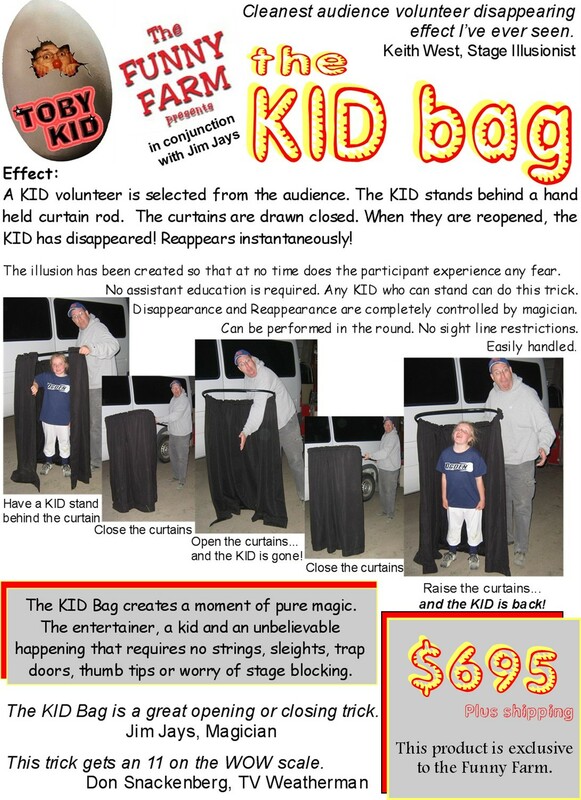 Any KID who can stand can participate in this trick. Disappearance and Reappearance are completely controlled by the magician. Can be performed in the round.